One of Brian’s best friends is the hugely successful and extremely funny American comedian, Ron White. He has been persuaded to come over here to our humble island, to do a London show at the Leicester Square Theater on Aug 30th and three nights at the close of the Edinburgh Festival at the Assembly Rooms on Aug 26, 27, 28. If you like a drink, a smoke and / or a laugh, do come along – Ron is the very best. 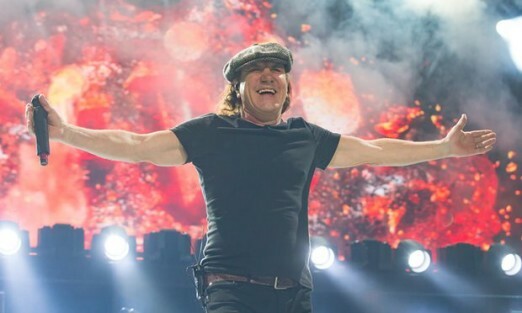 Brian Johnson has been advised by doctors to stop touring immediately, or face “total hearing loss”, according to a statement on the band’s website. The band – due to perform in the UK and Europe this summer – have postponed the remaining 10 dates of their US tour, though the band say they “will be made up later in the year, likely with a guest vocalist”. What happens after that is unsure, though tour dates through to June 12 are still listed on their website. Johnson has been AC/DC’s singer since 1980, when he joined following the death of Bon Scott. His first record with the group, Back in Black, became the second best-selling album of all time, behind Michael Jackson’s Thriller. He became a firm favourite with fans for his apparently boundless goodwill, and for a voice that seemed as though it could probably pierce armour.